The Gussin Spiritan Division began in the summer of 1997 with 19 students who subsequently enrolled in the University that fall. This began a tradition of teaching, caring and building futures through a community of excellence. Today, an average of 40 to 50 first-year students enter Duquesne as Gussin Spiritan Division students each year. They grow and develop at their own pace during their first year at the University. The Spiritan Congregation is the community of priests and brothers who founded and operate Duquesne University. Their mission and goals influenced the development of the Division's student-centered model. 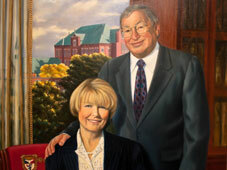 Dr. Robert Gussin, distinguished alumnus (P'59 and GP'61) and member of the University Board of Directors, and his wife, Dr. Patricia Gussin, gave the $1.5 million endowment that guarantees the Division’s mission in perpetuity. 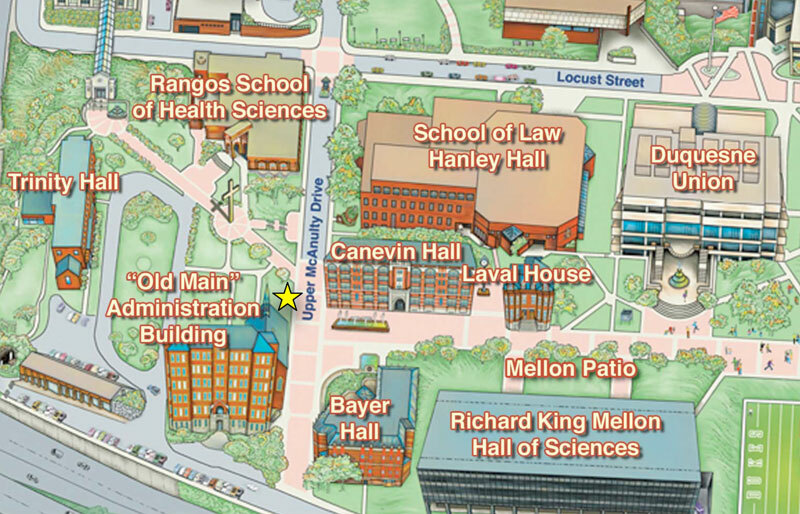 We're on the Ground Floor of the Administration Building (Old Main) directly across McAnulty Drive from Canevin Hall.